It’s been almost a month since I put The King of Clayfield by Shane Gregory down, and it’s lingered with me all this time. I don’t attribute its staying power to any raw emotional experience I had with it, nor do I find its relentless grip in any particular shock or horror. The King of Clayfield sticks with me to this day because I’ve yet to be able to truly pin it down. Certain stories fall clearly within a genre, adhering to established guidelines and rules. The King of Clayfield is somewhat unique in that it flows naturally, as if it were grounded in reality instead of someone’s imagination. Of course, The King of Clayfield has many imaginative and creative elements, but while it isn’t strictly an epistolary, it reads almost like a journal. Shane’s prose is no-nonsense, written in natural language. At times, it may be reminiscent of Cormac McCarthy. He steps out of the way and lets his character tell the story. What’s notable here is that, in my experience with first-person narratives, I’ve found many writers tend to overdo this. They adopt certain tendencies to attempt to force the voice through. Shane doesn’t. The difference is he seems to trust his story and his characters to be interesting rather than trying to make or contrive intrigue. The aspect that interests me the most, though, is that The King of Clayfield is almost formless in its presentation. It is anything but formulaic, but it isn’t without structure or deliberate momentum. It doesn’t lull, but it doesn’t force action. It doesn’t adhere to the typical “three rising actions, climax, resolution,” but it follows a logical pattern of building tension to a powerful and satisfying conclusion. Going into it, I was concerned that it would be too many laundry lists and info dumps. After all, the premise is a story about survival on its most basic level. But the narrative never falls into a bog of details. It is not a guide to surviving the apocalypse. It’s a story about an average guy surviving. He learns some things along the way, but he makes plenty of mistakes and bad decisions. On the surface, though, The King of Clayfield is not exactly a unique pitch. It’s a story about the apocalypse. There’s a virus going around, and people are turning into zombies. That said, its heart is found within the characters and following them through some unique situations that the narrative presents them with. There is something that is somewhat unique, however. Without spoiling it, there is a way the characters combat exposure to the virus, and I was skeptical about its biological feasibility. I suspected it was intended to be a metaphor for a common affliction, but I am still unsure about that. I certainly never found it a barrier. On other things I wasn’t quite sure about, there is a romantic element and a dip into a love triangle. The themes here were somewhat isolated from the main narrative, but Shane courageously explores them. 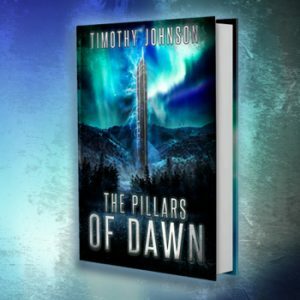 Throughout much of the story, I felt like exploration was part of the point. Outside of the main plot, there’s almost a kind of noise that exists, and that’s where I found some interesting ideas, themes, and motifs. Since The King of Clayfield seems fully enveloped in this kind of fantasized reality, it works really well. It isn’t a neat-and-tidy narrative, and I loved that. At the same time, I found it measured and deliberate. In many ways, Shane writes with a mature author’s mind, giving us the things we need without dwelling on them, but also knowing what his story needs without forcing it. 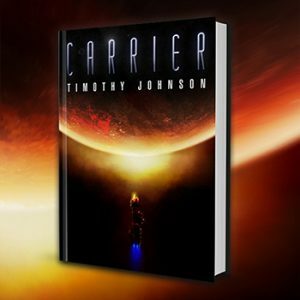 He allows the story and his characters to take him for a ride, but it’s like he has a good idea where they’re going and how they’re going to get there. In this sense, reading The King of Clayfield was so interesting because it was less like riding along with the author in the driver’s seat and you in the passenger seat. Instead, The King of Clayfield puts its characters behind the wheel. You watch from the backseat, and Shane is right there beside you, almost as excited to find out what’s going to happen. The King of Clayfield presents a challenge to any prospective reader. It’s not going to baby you. It’s not going to give you what you expect. At the same time, it’s not going to confound you or hit you with such twists that you’ll be left reeling from the revelation and questioning your whole reality. 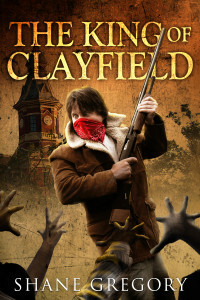 The King of Clayfield is exactly what it presents itself as: a museum curator finds himself in an apocalyptic scenario as a virus sweeps the world, and he must survive. It makes no apologies for straying from convention and leaving the gimmicks at home. The King of Clayfield is what it is, and that is to say it’s a beautiful, honest journey through one world’s end and another’s beginning. Tagged Apocalypse, Horror, Permuted Press, Shane Gregory, Survival, Zombies.